Registration for this walk is now FULL. The next Indigenous Family Nature Walk will be on May 18. Registration is not required for those who identify as Indigenous. 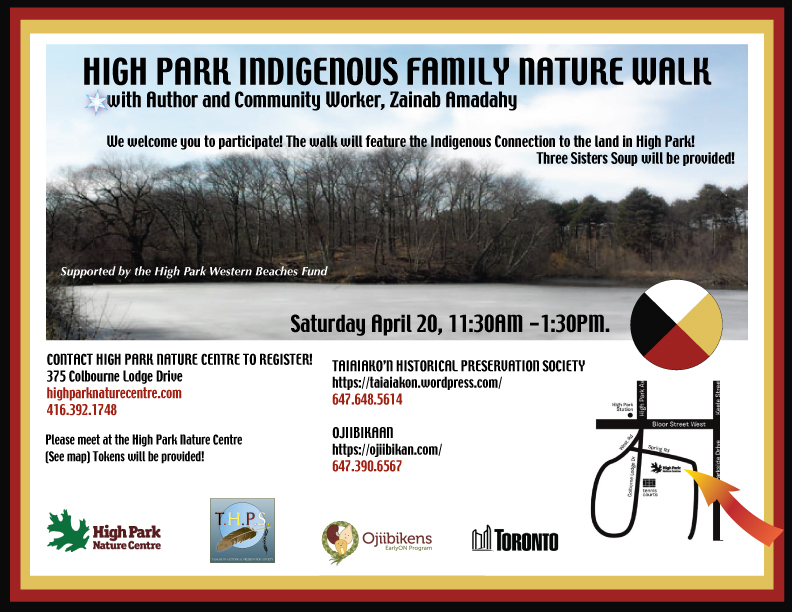 We welcome you to participate in an Indigenous Family Nature Walk, led by author and community worker Zainab Amadahy. This walk through High Park will centre on Indigenous connections to the land. After the walk, participants are invited to gather around a Sacred Fire to celebrate spring and join in a spring feast provided by Ojibiikaan. Transportation tokens available. Unless otherwise indicated, this event will go ahead as scheduled, rain, snow or shine.